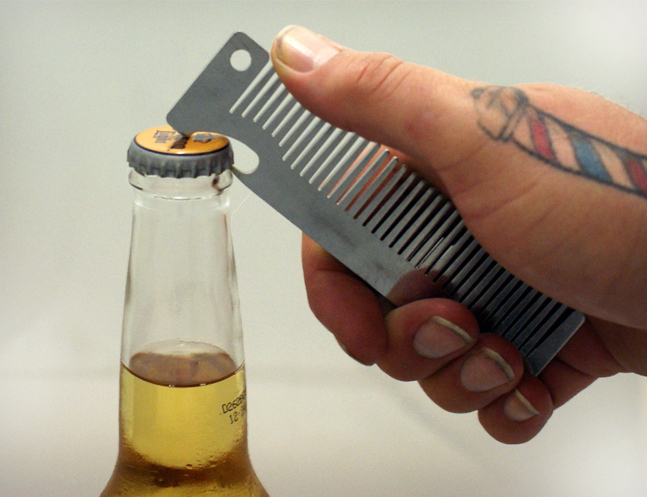 Often times I find myself combing my hair and think "I should be drinking a beer right now". 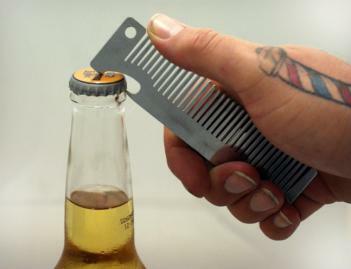 Why not combine the two greatest past times of combing hair and drinking beer into one handy dandy device called a comb bottle opener. 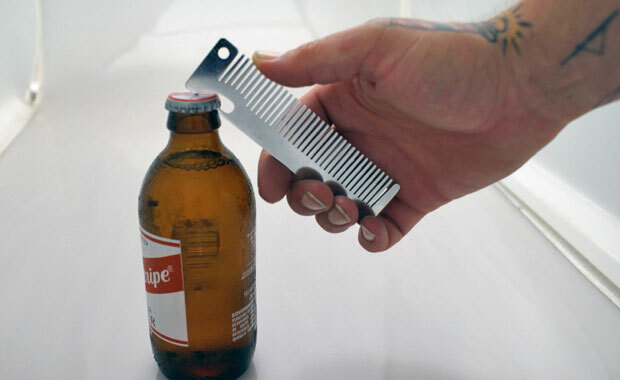 The comb bottle opener is hand cut from 100% stainless steel and has a brushed finish to give it that awesome comb look, and is a fully functional hair comb and/or beard crumb cleaner. Sit back, comb your hair, and crack a beer!